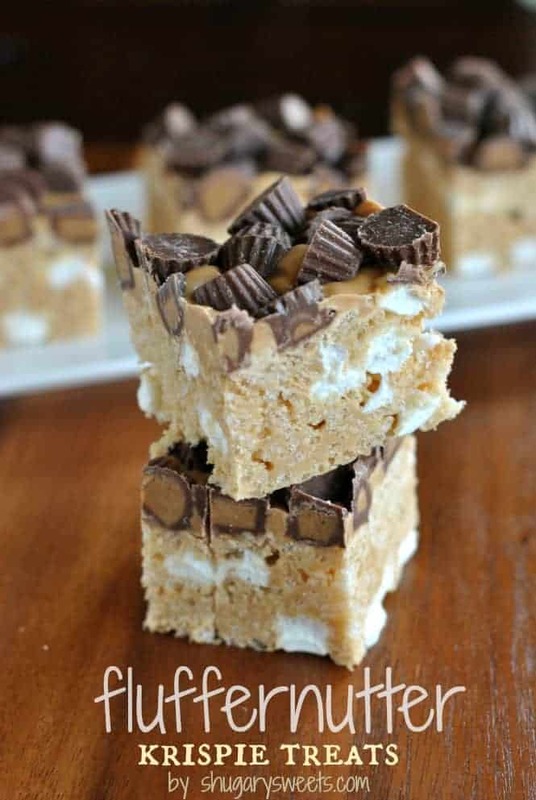 Looking for an easy, no bake treat idea? How about whipping up some Chocolate Peanut Butter Grahams? 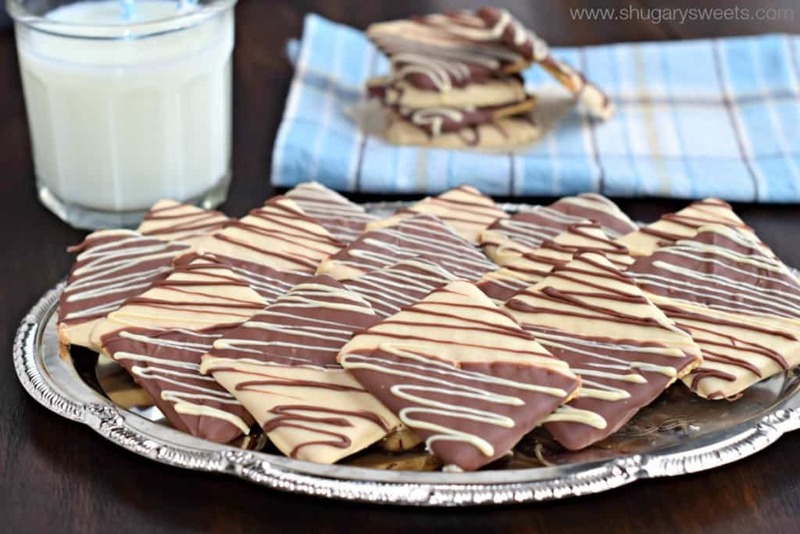 These Chocolate Peanut Butter Grahams are such an easy treat! Like seriously guys, get your kids (or husbands) to work dipping in melted chocolate. Turn on some of your favorite TV and enjoy. Speaking of TV…what kind of shows do you all watch? My husband and I like to turn on Netflix or Amazon Prime and watch some of our favorite series from start to finish. We will usually watch one episode a night. Right now we are midway through the House,MD series, and love it. But, we’re looking for suggestions on our next series. This Christmas break we did something completely unheard of. Something we probably haven’t done since before kids. We spent an entire day watching TV. In our room. It was the day after a big family celebration, our kids were occupying themselves with new Christmas gifts, and we laid in bed watching TV from 8am-11pm. NO JOKE. We watched a lot of episodes of our favorite show! We did occasionally get up and eat (grazing in the kitchen), and checked on the kids (don’t worry they can fend for themselves)! It was lovely. Know what else is lovely? Chocolate and Peanut butter. #AmIRight? A couple years ago I made this trio of holiday bark. The key was to spread them super thin. I made them again over the holidays this year and my kids LOVED the peanut butter pretzel one. So, I took that idea and morphed it with my favorite chocolate grahams (remember these chocolate peppermint grahams?). Perfection. No need to slave in the kitchen baking a cake or brownies the next time company comes over. Turn on the tv and get ready for them by dipping graham crackers! Plus, it’s chocolate peanut butter. WIN WIN WIN!! Enjoy! Love Chocolate Peanut butter? Me too! 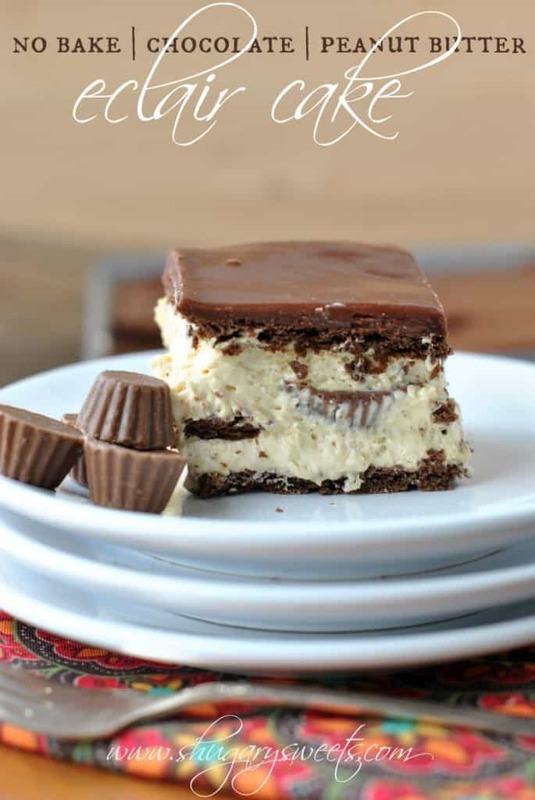 No Bake Chocolate Peanut Butter Eclair Cake: a delicious twist on a classic recipe! 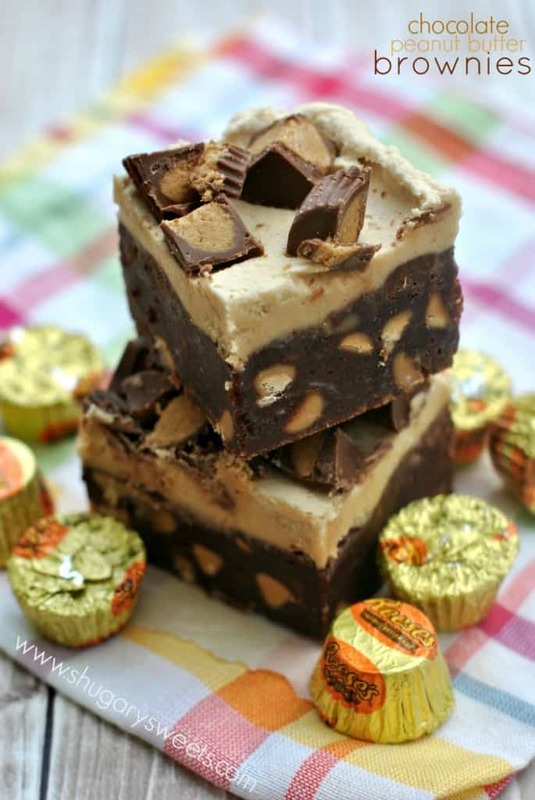 Chocolate Peanut Butter Brownies: thick fudgy brownies topped with fluffy peanut butter frosting. OMG! Fluffernutter Krispie Treats: peanut butter krispie treats topped with Reese’s. Delicious. In a glass bowl, combine white chocolate chips (I prefer to use Ghirardelli) and creamy peanut butter. Microwave for 30 seconds, stir and heat an additional 30 seconds. Stir until smooth (if necessary heat an additional 15 seconds). Line counter with parchment paper. Dip half of the graham cracker into the melted white chocolate PB combo. Tap gently until excess is removed and lay on parchment. Repeat with remaining grahams. Heat milk chocolate chips for 30 seconds in glass bowl in microwave. Stir and heat an additional 30 seconds. At this point the white chocolate should be hardened. Holding the tip of the graham. 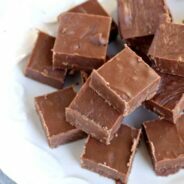 dip opposite side of cracker into melted milk chocolate, tap and lay on parchment. Repeat until all grahams are dipped. If desired and you want to decorate tops, reheat excess chocolate for 10-15 seconds. Pour white chocolate PB into a small ziploc bag. 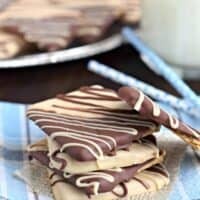 Snip off the corner and drizzle of milk chocolate dipped grahams. Repeat with the milk chocolate onto the white chocolate side of the cracker. Allow to set, about 15-30 minutes. Store in airtight container at room temperature. ENJOY. We’ve been watching Portlandia on Netflix lately and love it. We’re a little late to the game, but it’s easy to catch up on. This is the best possible thing that you could ever do with graham crackers, yum!! Some tv shows we’ve liked include Gotham, Hannibal, Suits, The Walking Dead, State of Affairs, and Fringe! We love The Walking dead 🙂 I’ve heard good things about State of Affairs and Fringe, will put those on our list!! Thanks Beth! These are beautiful. And brilliant. And everything I love. So, I’ve been Netflix bingeing on Once Upon a Time. It’s been hard to stop! I recommend, Aimee! Thanks Mir! I actually watched the first season of Once Upon A Time…but I’m not sure why I never picked it up again. I enjoyed that first season! Ah, those awesome tv marathons! Love ’em! When my husband wasn’t working he watched Breaking Bad in its’ entirety in like 3 days. Then one year I went out and bought the entire season of The Sopranos for him and every night we’d watch two episodes. It was a lot of fun. Now where into Portlandia, and Modern Family – they are both so funny! And these Chocolate Peanut Butter Grahams, awesome! OK these are straight up genius. I love it! They look gorgeous and would probably make fantastic DIY gifts! These graham crackers look fantastic! I wish I could watch TV all day. I have never watched House we will have to watch that one. The last show we binge watched was Breaking Bad. Also if you haven’t seen Game of Thrones, you should watch it, it’s one of my favorite shows. Chocolate and peanut butter is the best! These graham crackers look amazing! These look delightful! Your recipe came over on my Bloglovin feed and I’d love it if you would share it at my Tuesday link party, Tickle My Tastebuds . I love marathon days. We don’t get to that often enough! Right now we are trying to catch up on Walking Dead. We fell behind with everything going on last year. Fabulous, Aimee! I cannot imagine a better treat made with chocolate, graham crackers and peanut butter. 🙂 Meanwhile, a day in PJs to power up is sometimes in order! Thanks for sharing, my friend. Will definitely be pinning! I love these! They are so gorgeous 🙂 Have you seen Orange is the New Black? What an amazing day. I miss doing that!! Although now if I tried to lay in bed all day I’d need a massage for my back, lol. Love these!! These look awesome! Like something you’d find in one of those expensive candy shops. Some of the shows we’ve loved are Breaking Bad, The Killing, Weeds, Game of Thrones and American Horror Story. And that’s just a few of them. We have so many in our queue or that we’ve already finished watching! I LOVE these little treats, Aimee. Chocolate, PB and grahams are so freaking good together! I’m obsessed with these graham crackers- they’re so beautiful! 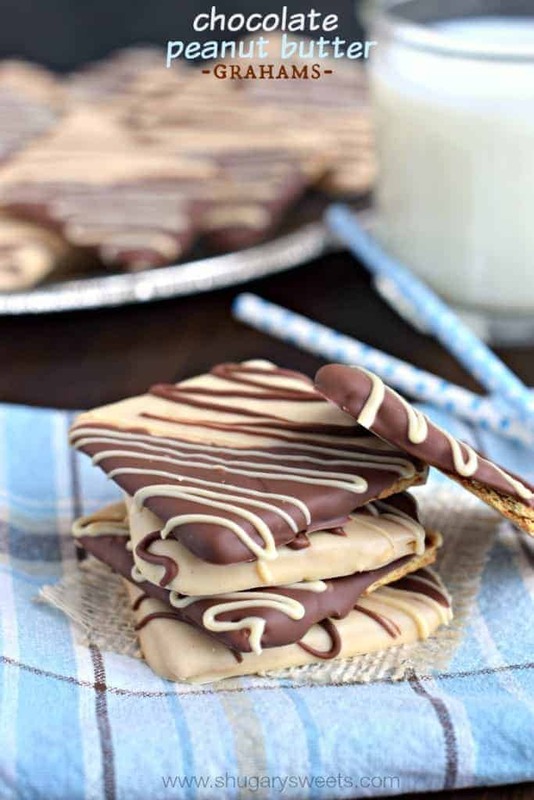 What a great way to enjoy graham crackers! Favorite shows? Gosh we have so many. We have been discovering TV shows on Netflix and Amazon Prime a lot lately. Here are a few of my favorite: Scandal (obviously! ), Black List, Fring, The Americans, Arrow let’s start there! Everyone needs an easy day every once in a while! These looks delicious! I just love easy to make treats that look fancy!!! The chocolate and peanut butter combo on these would make me eat the whole batch though 🙂 We just started Scandal on Netflix because we are all caught up on Once Upon a Time. I love that you guys watched TV all day long…that’s awesome! I need a few new shows to add to our list too!! We love Scandal! And yes, a tv day was awesome, you need to try it!! So simple yet so delicious. PB/chocolate is the best! 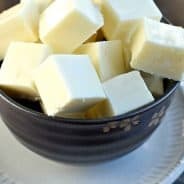 I live in Scotland and cannot get Graham Crackers here,is there a substitute I can use? Why peanut butter on the white side only, can’t it be melted with both chocolate and white sides? It can. I just like the way it looked. 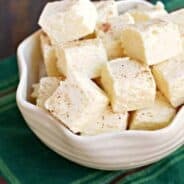 I made these for Christmas and followed recipe exactly with no changes and they were delicious and addictive. Will definitely be making again for the holidays. Awww thanks Rose, glad you enjoyed them! Grey’s Anatomy is the best Netflix series! Have attempted for days to stop this sender. Can not seem to unsubscribe. Please leave me alone.